This pet was awarded to players who competed in at least 50 games (3v3 matches) during the Qualification Round of the Arena Tournament (also known as the World of Warcraft Arena Pass). Murkimus was mailed to all current characters on the qualifying player's account. 200 games were required in 2009. The first tournament was held in 2009 and the last tournament was in 2013. There has not been an event since then. Blizzard has not made an official announcement regarding the future of the Arena Tournament, so it is unknown if and when this pet will be available again. We've heard additional reports that an identical Murkimus the Gladiator was given out to the first wave of players who logged on in China after the new Chinese operator, NetEase, took over and reopened the WoW servers. Has anyone that did the arena pass 2013 received this pet yet? Normally the rewards are within 4 weeks of it ending but no one i know has recieved anything yet. Nothing on forums or anything about it. No one I know who participated in the 2013 event has theirs yet. I'm about to enter a GM ticket and see what response I get. I want my Murkimus! Edit: Was informed by a kindly GM that these pets won't go out for a few weeks yet. Maybe they're waiting for the end of the actual Arena realms rather than just the end of the rated phase...? 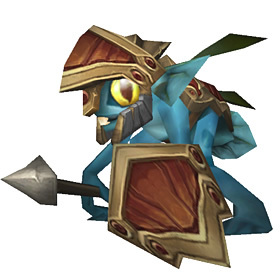 From the official FAQ: Players who participate in at least 50 rated Arena Pass games on one character and with the same team will be eligible to receive the Armored Murloc pet for their live characters. Notice it says participate, not win? Yeah, 50 matches. You can do that with your eyes closed. Got my Murkimus today (Thrall-US Server) so if you were due one, I would open a ticket. The pet was delivered to those who qualified on 7/19/12! US Nordrassil - got it today 7/19/2012! Does anyone know when we can expect to receive this meany in our mail? He will be first on my list for pet battle fighting in MoP! anyone know when we receive this pet? We've played the required 50. So I just logged in this morning and saw that this pet is offered now for signing up for this arena thing. Basically pay 20 dollars and seems that you can get it. I guess its an arena type realm. Murkimus is the most fearsome of all murloc arena warriors. And for a time, the only one.